Though Christmas is over, the Boring, Oregon Foundation is hoping a few people will still be in the giving spirit. Earlier this month, the nonprofit organization, in partnership with Clackamas County Parks and the Park Committee of the Boring-Damascus Grange, kicked off its fundraising campaign to purchase a second flagpole for the Boring-Station Trailhead Park. To date, the group has raised $1,250 of its $7,500 goal. That cost includes the electrical work to keep the flags lit. The existing flagpole stands at 30 feet. The second flagpole will be 25 feet tall and stand 10 feet to the west of the other. With the second pole, foundation Chairman Steve Bates said, "we want to be able to fly all of the flags all of the time." As of now there is one pole, which flies the American flag and alternates between flying the POW-MIA and Boring Community flags. 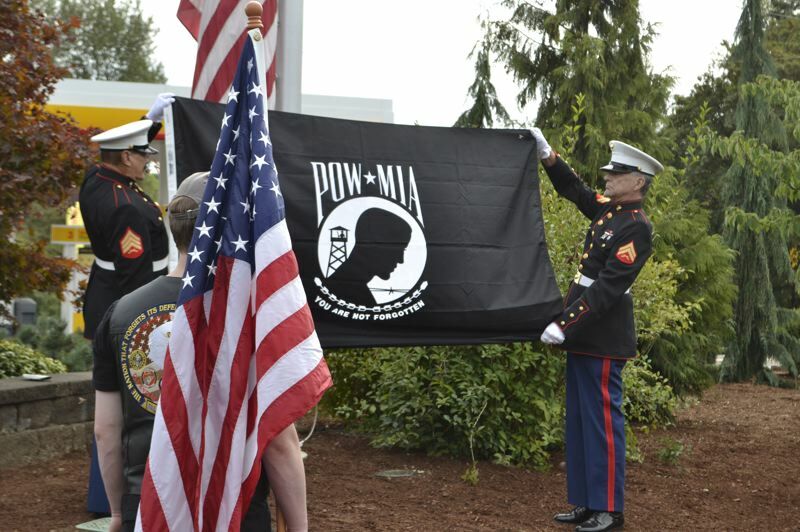 To honor United States Military Veterans, the POW-MIA Flag is flown secondarily during the months of March, May, September and November, and there is not currently room to fly the Oregon state flag. On the second flagpole, the community hopes to consistently fly the Oregon state flag and the Boring Community flag. "The actual protocol is below the American flag should fly the POW-MIA flag," Bates explained. "It's important for us to honor our veterans. And we want to honor out veterans 365 days a year. "For those who have a need to get a tax deduction by the end of the year, this is a great way," Bates added. Donations can be made online at www.boringoregonfoundation.org or in the form of a check sent to Boring, Oregon Foundation, P.O. Box 1448, Boring, Oregon 97009.